The Gardening Group provides members with an opportunity to share a love of gardening and horticulture. A big thank you to Helen Wilson, Joyce Yoxon and Les Fillis for their help and support and David Blanchflower for producing the newsletter. All offers of help in organising this group will be gratefully received. Topic “Oh Dear! What can the ‘Machair’ be? Steve Halliwell using his excellent photographic skills took us on a journey exploring the threatened Machair habitat in Hebridean Islands and the flora of the area. The Gaelic word ‘machair’ means an extensive, low-lying fertile plain. Machair is a type of grassland associated with calcareous sand (mainly made of shell) which has been blown inland from beaches and mobile dunes. Strictly speaking, ‘machair’ refers to a flat sandy plain with dry and wet short-turf grasslands above impermeable rock. However, this term can also cover the beach, foredunes, dune slacks, fens, swamps, lochs and saltmarshes which together form a ‘machair system’. Machair is one of the rarest habitats in Europe, found only in the north and west of Scotland and Ireland. It is estimated that there are 25,000 hectares of machair worldwide, with 17,500 hectares in Scotland and the remainder in western Ireland. Almost half of the Scottish machair occurs in the Outer Hebrides, with the best and most extensive areas in the Uists, Barra and Tiree. The gardens were specially opened for U3A members, sadly the weather was not kind for the visit but those who attended thought the gardens were excellent. The visit lasted over two hours with our host Peter Curl taking time to explain various aspects of the garden to individual U3A members. 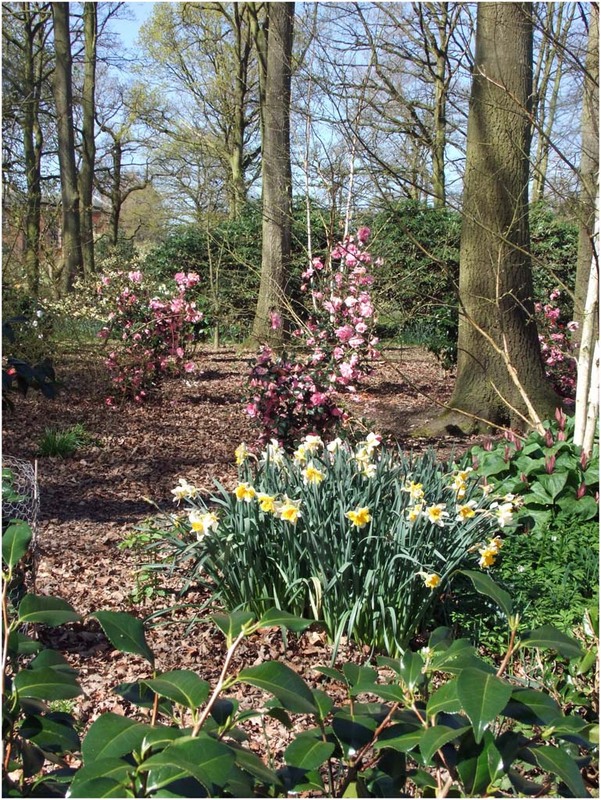 The gardens at 79 Crabtree Lane are part of the National Gardens Scheme which was founded in 1927 to raise money for charities. The garden at Crabtree Lane is ¾ acre in size and over recent years has been changed and replanted but still has many established and contrasting hidden areas. Patio surrounded by shrubs and alpine bed. Colour themed herbaceous and island beds with shrubs. Rose garden, fish pond surrounded by a large rockery and a Koi pond with waterfall, recently rebuilt and shallow area for wildlife. Spring and woodland garden, gravel garden with tender Mediterranean planting and late summer hot bed. Hosta and fern walk. A derelict, dry stone bothy and stone potting shed. A garden visit that was enjoyed by all and one I feel sure many U3A members would wish to visit again. The speaker Peter Cordall took us on a botanical journey across Tibet to Lhasa in which we explored the culture and also the alpine plants of the region. The Tibet Plateau being home to the world’s largest distribution of Alpine plants. Peter’s talk was a rare glimpse of the flowers of Tibet and will provided us with a view of a beautiful country which sadly most of us will never visit. We saw the culture of the area and visit the beautiful city of Lhasa which is rightly one of the most featured and dreamed about cities in the world. This is not only because of its high altitude at 11,975 feet which means remoteness and limited accessibility, but also because of its over 1,000 years’ cultural and spiritual history which leaves an impressive heritage that has helped to create the romantic and mysterious image of Tibet. Peter is a former science teacher and currently Chairman of the Southport Alpine Garden Society Group. His interests in photography and the sciences has lead to his passion in flower and plant photography and he treated those attending to an enjoyable afternoon. The speaker Steve Halliwell provided a packed meeting with an exciting and informative journey month by month around Gresgarth Hall Gardens. Using hundreds of excellent quality photographs he gave a comprehensive explanation of the changing colours, shapes and textures of the gardens. Steve held his audience enthralled by the shear beauty of the gardens so ably captured by his photography. It was clear that Steve was an expert in his subject and he held his audience spellbound. Steve is has a keen interest in natural history and bird watching and is a respected author on natural history topics. 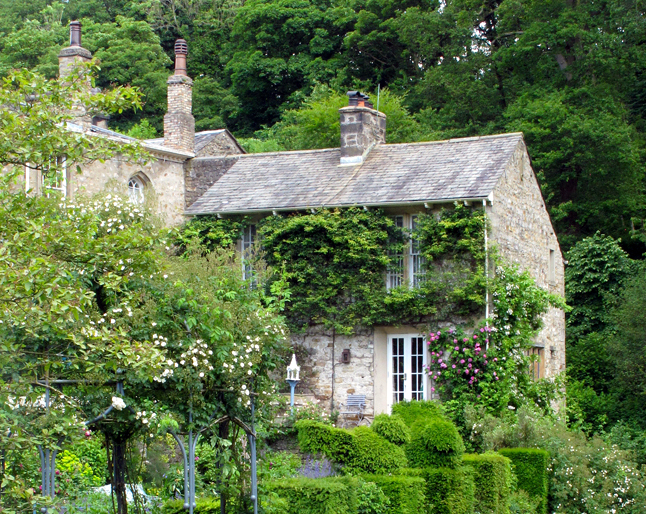 Gresgarth Hall Gardens cover 12 acres and are located near Lancaster in a valley cut of the surrounding fields over millennia by a tributary of the river Lune called Artle Beck. The sound of water is ever-present. The terraces descend from the house to the lake, and are planted with roses, clementis and more tender plants in season, and the predominating pinks, purples and silver-whites compliment the rugged grey stone of the Gothic house. There is no doubt that Gresgarth is one of greatest gardens in Britain. 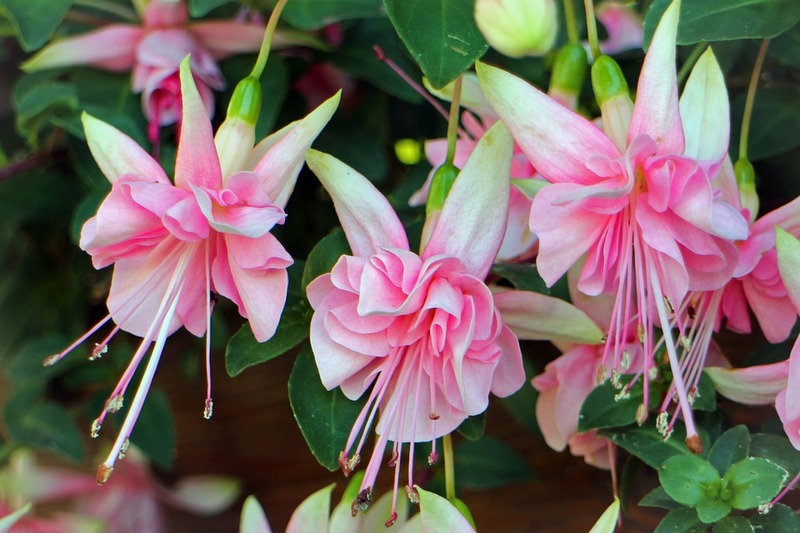 The speaker on Monday 14th March on the topic of “All you need to know about Fuchsias” was Brian Houghton who has over 30 years experience of growing fuchsias. He is President and Secretary to the Merseyside Fuchsia Group also Chairman of the Wigan Fuchsia Society. He is a committee member of the British Fuchsia Society. Brian has a lifetimes interest in the cultivation and propagation of Fuchsias. The meeting held on 8th February was an outstanding success with a record attendance of 120 people to hear Peter Gateley speak on the topic “A flower for every day”.